Church Light Pole Banner for your parking lot made in a 2ft x 5ft double sided vinyl banner. Prints are on both sides of the single banner with finishings of pole pockets top and bottom. The pole pocket will fit around a 1" diameter pole or less. This light pole banner can be customized. Stock double sided banners take 3 days to ship upon payment. Custom double sided banners print and ship 3 days from proof approval. 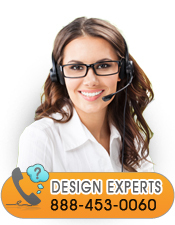 If you need a customized design, proofs are sent in 1 business day by our design team. Churchbanners.com has everything you need to decorate your parking lot light poles. These types of banners are great for welcoming visitors and letting your community know the upcoming events in your church. Please call and speak with one of our design experts to have a banner recreated for your outdoor pole banners. Purchase the hardware (BS008 - Light Pole Kit) Here. Click the button below to add the DS Light Pole Banner Black Copper - You Belong to your wish list.